Nothing is Better…… then Falling in Love with every sip! Painstakingly created and fine-tuned over many years in our own small coffee shops. 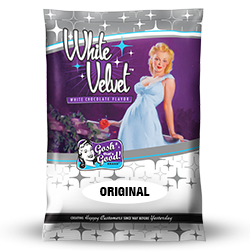 Our #1 selling White Velvet Chocolate has a sweet elegant creamy flavor that balances perfectly in espresso based drinks. Nonetheless makes a memorable Hot White Chocolate all in its own. Likewise, perfect for today’s iced, blended and smoothie beverages of today! Add 2 scoops of White Velvet Chocolate™ into 12 oz. cup. Add 2 scoops of White Velvet Chocolate™ into a mixing colander. Add 3 scoops of White Velvet Chocolate™ into blender. 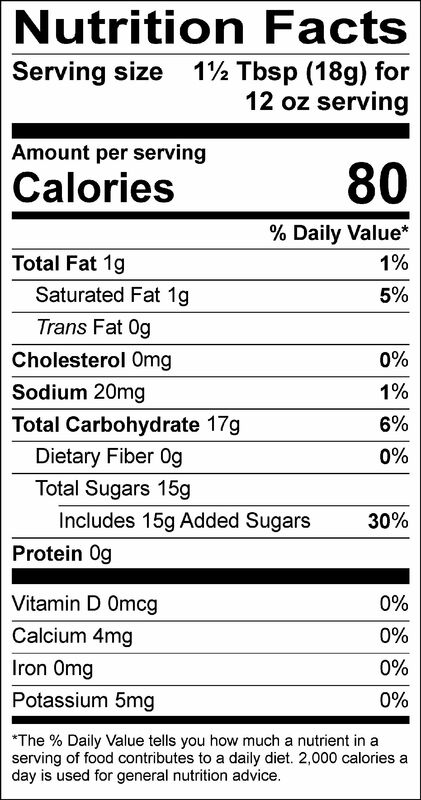 Sugar, non-dairy creamer [coconut oil, maltodextrin, sodium caseinate (a milk derivative), mono-and diglycerides, dipotassium phosphate, silicon dioxide, soy lecithin], natural and artificial flavors, tri calcium phosphate (anti-caking agent), salt, cellulose gum.